Recently life has been pretty busy and hectic, setting up a second blog was a lot harder than I thought it would be and took longer as well. Not Just A Diagnosis is up and running now though so I can focus a little more on getting lots of beauty posts up for you all on here. I haven't been wearing makeup a lot over the past few weeks but when I do decide to delve into my makeup bag I've been sticking to a very easy look using a mixture of old and new favourites. It's been a while since I've done a post like this so I thought it would be a great easy one to do to ease me back into the swing of things, I have so many reviews to do it can be a little overwhelming at times! I'm not going to spend too much time going through the details of every product as that would take a while so I thought I'd split it up into my old favourites that you all know about and some new products that I've been trying out and loving. When it comes to base products there are 4 that I always turn to for the perfect look for me, they all work so well together and I don't often stray from them. It comprises of the ever so famous and well loved Collection Lasting Perfection Concealer, the Rimmel Stay Matte Powder, the popular Benefit POREfessional Primer and my favourite CC Cream, the GOSH Illuminating CC Cream Foundation*. The Benefit primer creates a smooth base for my CC cream to glide onto smoothly, it enables it to blend in better and I feel like it creates a nicer finish. The CC cream is quite a light coverage product so I always tend to go in after with concealer to cover any blemishes and to brighten up under my eyes. To finish things off I usually go over with a light dusting of powder to keep everything in place, I don't use too much though as I love the glowing finish of the CC cream. The last old favourite of mine is the trusty Makeup Revolution Ultra Brow Arch and Shape*, I struggled to fill in my brows a lot before I tried this and I don't think I'll be trying anything else anytime soon as this does the job perfectly and easily. The other 4 products that I used are all relatively new to me, I've spoken about a couple on here before but some of them are very new and I'll have reviews up for them soon. Makeup Revolution fans like myself will spot the 2 palettes of theirs straightaway, they've become staples in my makeup bag and I rarely do my makeup without reaching for them. The Stripped and Bare Pro Looks Palette* has quickly become a favourite of mine, especially the first 10 shades in it. The palette is split up into 3 sections to help guide you in creating 3 different looks, I personally like the mixing colours from the first 2 sections to create a natural yet defined look. The matte browns are perfect for the crease and adding some definition and I love using the shimmery shades to highlight and brighten up my eyes. I'll have a full review of this up very soon, there is so much more I can say about this palette! The other Makeup Rev. palette is the Golden Sugar Ultra Blush Palette* which I have already raved about on here so I'll keep it short and sweet. I tend to use the first 2 shades the most to add some colour to my cheeks and to highlight areas of my face. This is the perfect addition to my makeup bag when I'm travelling as well, no need to take lots of single blushers and highlighters! Over the past few months I've definitely found myself shying away from wearing colour on my lips but this new Collection Field Day Lipstick in Tulip* has awoken my love for a splash of colour. It is bolder and brighter than the lipsticks I usually go for so I've been applying it and then softening the colour a little by blending it in with my finger. I really like the colour it leaves and I think it compliments my pale skin nicely, I think this will definitely be a favourite of mine throughout all of Summer. This is one of the new products in the Collection Field Day range which I'll be reviewing so look out for that post to see the other lipsticks, nail polishes and eye shadow pencils in the new range! Finally it is back to one of my old favourite brands, MUA. 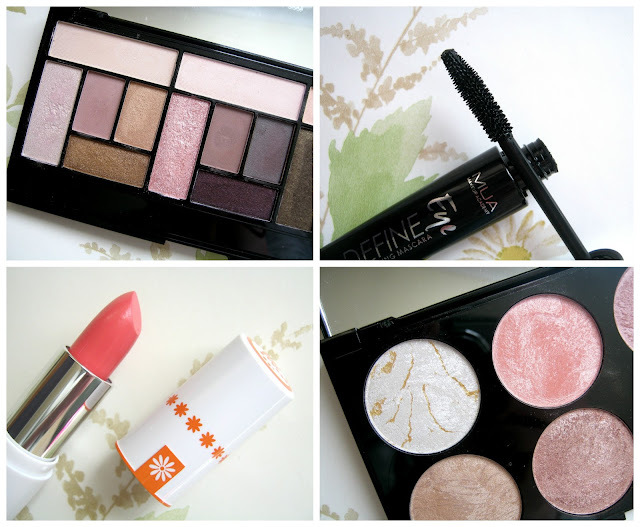 If you've followed my blog since the start or even for just a while then you know I've loved using the brands products from when they first started 5 years ago now. They've recently started bringing out new and exciting products again so I hope this is the first of many that I'll be talking about on here. I've always been a fan of their mascaras in particular so it is no surprise to me that I've really been enjoying using the Eye Define Lengthening Mascara*. It gives my lashes a lot of length and a little bit of volume as well but most importantly I've found that it stays on my lashes all day. I've only tested it inside at the moment so I'm not sure how it would fair on a hot day outside but I'll of course test that out before I get a full review up. So far though I'm really loving it! I've been away from blogging regularly for so long that it felt a little weird typing up such a long beauty post, good weird though! I'm glad to be back and hopefully I can stick to posting a few times a week at least. 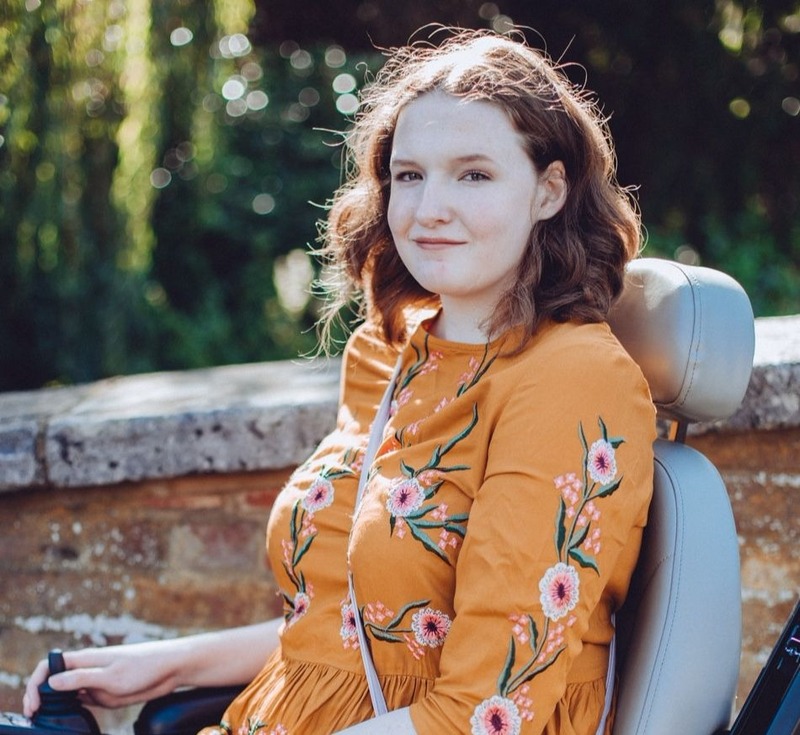 If you want to find out why I've been absent and why I will be absent again for a little while over the Summer then head over to my new blog, Not Just A Diagnosis.